Michael Pettit, The Science of Deception: Psychology and Commerce in America, (Chicago: University of Chicago Press, 2013). Mark Solovey, Shaky Foundations: The Politics-Patronage-Social Science Nexus in Cold War America, (New Brunswick: Rutgers University Press, 2013). Marga Vicedo, The Nature and Nurture of Love: From Imprinting to Attachment in Cold War America, (Chicago: University of Chicago Press, 2013). Andrew Jewett, Science, Democracy, and the American University: From the Civil War to the Cold War, (New York: Cambridge University Press, 2012). Mark Solovey and Hamilton Cravens, eds., Cold War Social Science: Knowledge Production, Liberal Democracy, and Human Nature, (New York: Palgrave Macmillan, 2012). Joel Isaac, Working Knowledge: Making the Human Sciences from Parsons to Kuhn, (Cambridge: Harvard University Press, 2012). Alexandra Rutherford, Beyond the Box: B.F. Skinner’s Technology of Behaviour from Laboratory to Life, 1950s-1970s, (Toronto: University of Toronto Press, 2009). 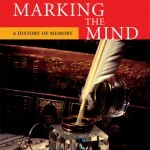 Kurt Danziger, Marking the Mind: A History of Memory, (New York: Cambridge University Press, 2008). 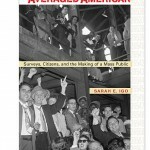 Sarah E. Igo, The Averaged American: Surveys, Citizens, and the Making of a Mass Public, (Cambridge: Harvard University Press, 2007).